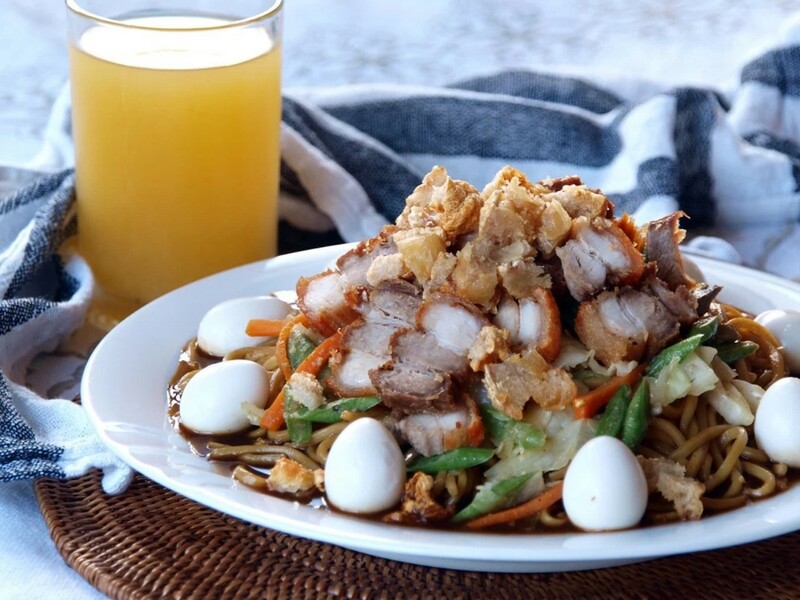 Pancit Cabagan is one of a delicious noodle dish that originated from the Isabela province, like any other noodle dishes in the Philippines its roots are of Chinese origin. This dish looks like a cross between the Pancit Canton and Pancit Palabok, sometimes it nearly looks similar to Hokkien Mee but had more sauce. According to the research conducted, in the year 1987, a group of Chinese traders who originally came from Amoy (now Xiamen), China landed in Aparri, Cagayan. One of the traders was said to be responsible for introducing pansit in Cabagan. His name is Sia Liang also known as Dianga. Dianga married a Filipina named Augustina Deray Laddaran, who established a panciteria in Cabagan during the pre-war period. As the years passed, the recipe of Pancit Cabagan has improved a lot, and has now gained popularity in different parts of Luzon. The new recipe has added garnish such as crunchy “‘lechon carajay’, and boiled quail eggs. Did you learn something new? Yes you did. Give it a try to cook this one of the delicious noodles in the country. Cook fresh noodles according to packet instructions. Drain the set aside. Season pork with salt then heat up a wok. Add oil then fry pork belly until brown and crispy, remove from wok then set aside. In the same wok, sauté garlic and onions. Add in the pork liver then stir fry for a minute. Add carrots, French beans and cabbage then stir fry for 2 minutes. Remove from the wok then set aside. Mix cornstarch with 1 cup of stock then set it aside. Pour 4 cups of chicken stock, hoisin sauce, oyster sauce and soy sauce, bring it to a boil. Once boiling pour the cornstarch mixture and simmer until sauce thickens. Flavour with fish sauce if needed then season with freshly ground black pepper. Fold in the noodles and half of the vegetable mixture in the wok, turn of the heat then place in a plate. Top with remaining vegetable mixture, chicharon and quail eggs then serve with lemon or calamansi on the side. Next articlePhilippines Welcome Apple Inc.